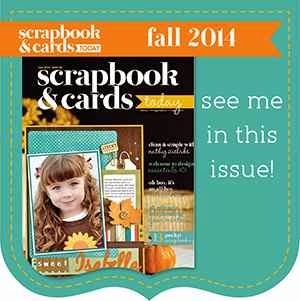 Life & Memories: Fall Issue of Scrapbook & Cards Today Is Now Available! 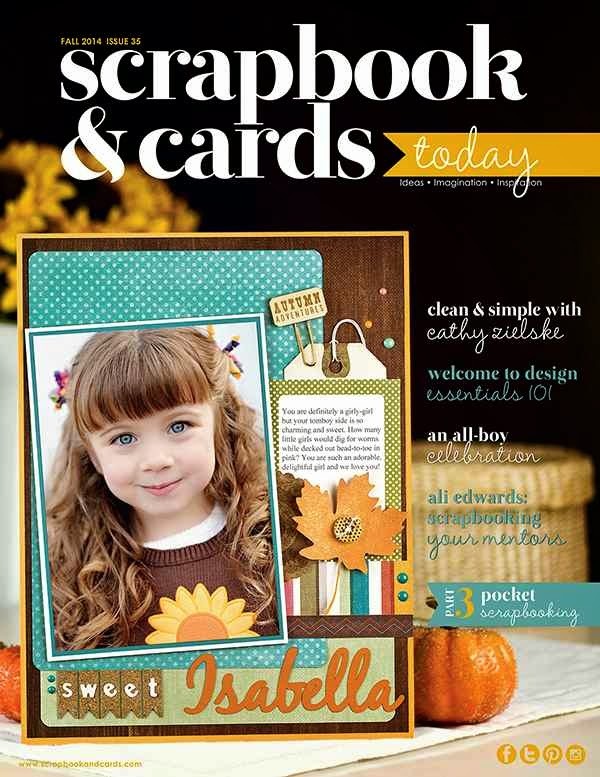 Fall Issue of Scrapbook & Cards Today Is Now Available! I am very excited to be a part of the 35th issue of Scrapbook & Cards Today magazine. My layout is part of the PageMaps article that begins on page 29. Did I mention this is very exciting? Ali Edwards has an article on scrapbooking mentors that is full of inspiring layout ideas. Cathy Zielske is a brand new contributor with an article on clean and simple scrapbooking. I am so happy to see her back in print! You can download this issue for FREE at the Scrapbook & Cards Today website. Personally, I like to hold this beautiful magazine in my own two hands, so I have a subscription. Don't miss out on all the inspiration!